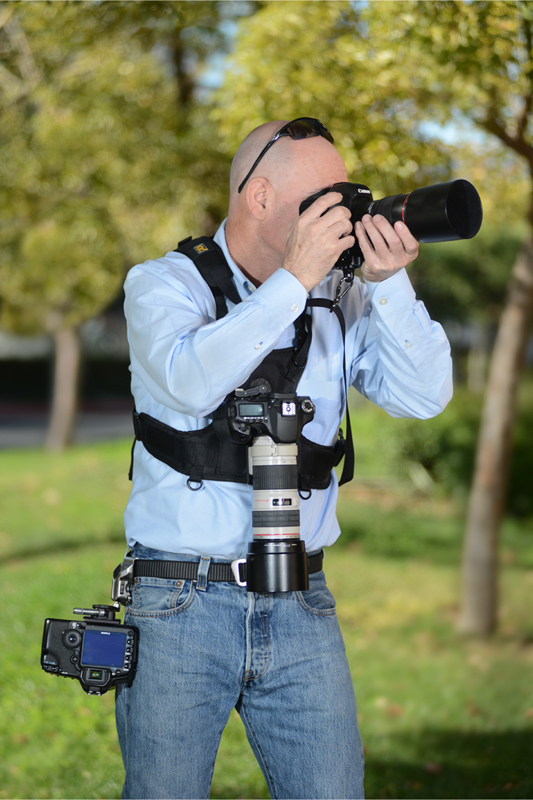 Our Swift Clamps provide a fast and easy way to move a camera with an Arca-Swiss style camera plate between a strap and tripod head without taking your plate off of your camera. Seconds to change, so you’ll never miss a shot. Currently available for the following straps. Excellent clamp, but where is your sling ?? which originally has insecure and flimsy way of attaching a camera. It still sells like a charm and is currently out of stock. I use your Swift Clamp with that sling. The clamp works like a charm, but the sling I had to modify, to extend the strap going under arm, so that the shoulder pad could be worn on left or right side of the neck, as preferred. In short: MOVO MP-SS7 sling is the best sling I have seen so far, but it is not excellent. (It became excellent with my modification). Kirk has another, sub-standard sling that I also own. Overall, might I recommend that you spend some time designing the best possible ACRATECH sling. It may be worth your while. With the Swift Clamp already designed, it is easy to beat your competition. This product attaches to the acra-swiss type tripod plate - the knob is for adjusting the grip, and the handle with the lever is for the extremely quick release of this plate from the bottom of the tripod plate. This plate is a brilliant design. I keep the L-Plate on my camera and instead of having to screw or unscrew a carabiner hook from the plate hole (found on vew tripod plates anyway), this option allow you simply to click the button to either attach or detach the camera strap is a split second. Metal (no plastic parts here), smooth operation, solidly built, and a beautiful form. I just put in another order for another one. This way my wife doesn't have to fuss w her gear when i want to use the video camera. Simply and easy!